Content is no longer a nice form of marketing, it’s the air that guides the customer journey, or, in some cases, it’s a business model. 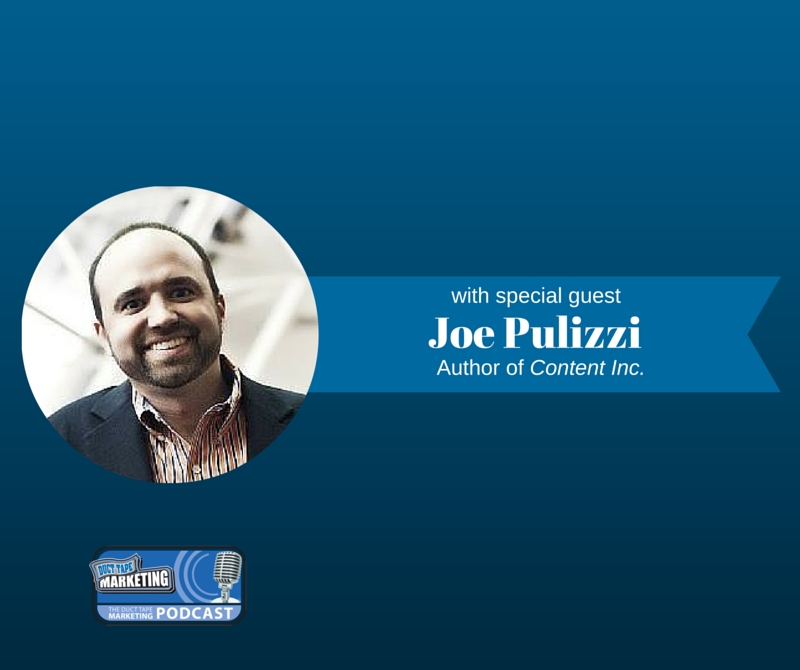 My guest for this week’s episode of the Duct Tape Marketing Podcast is Joe Pulizzi, founder and CEO of the Content Marketing Institute and the author of the new book Content Inc.: How Entrepreneurs Use Content to Build Massive Audiences and Create Radically Successful Businesses. We discuss content marketing strategy and what it can mean for you and your business. Is there still an opportunity to be successful in content marketing? How do you make money in the initial stages of a content campaign? Why some businesses that try content marketing fail. How email strategy is the key to a successful content marketing campaign. Why you should build a following before developing a product.